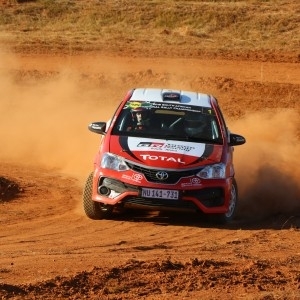 A flag-to-flag victory on the Rallystar Rally, Round 3 of the 2018 South African National Rally Championship, saw Toyota Gazoo Racing SA's Guy Botterill and navigator Simon Vacy-Lyle close to within a single point of the overall championship lead. The pair powered their Class R2N Toyota Etios to a resounding victory despite a gearbox change on Day 2 of the rally. "We're extremely happy with the result," said Botterill after making it safely to the service park at the Sun Carousel, near Bela-Bela. "The car ran well throughout, and were it not for some gearbox niggles, we would've recorded a clean run." There were some tense moments as the Toyota Gazoo Racing SA service crew set about the task of changing a gearbox during a normal service, but the crew completed the task with time to spare, and Botterill/Vacy-Lyle went on to win the event. 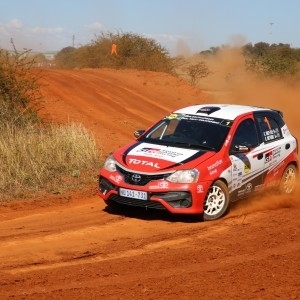 The Rallystar Rally has previously featured on the NRC circuit, but 2018 saw the event take place at a new venue, near the Sun Carousel, north of Pretoria. The event comprised a total of ten stages, with four taking place on Friday, 27 May 2018; and the remainder running on Saturday, 28 May 2018. The stages at the Carousel proved to be extremely tight and slippery, and the attrition rate on the rally was high. Only 13 cars finished the event, with the Toyota Gazoo Racing SA crew taking top honours in the premier Class R2N for the national championship. Second place went to AC Potgieter and Nico Swartz in their Class R2N Volkswagen Polo, with Chris Coertse and Greg Godrich (Class R2N Mazda2) rounding out the podium. Potgieter/Swartz's second place finish was enough to keep them at the head of the title chase, with four events to go in the 2018 championship. 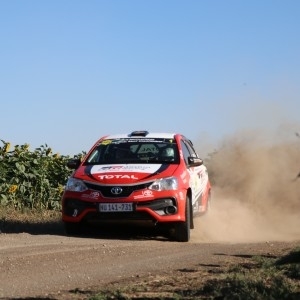 "We are happy to have bagged maximum points on the Rallystar Rally," concluded Botterill. "But there's still a long way to go in this year's championship. Next up is the P.E. Rally, which is always a tough event, and we'll have to make sure that the car is 100% before taking on the Longmore Forest." The P.E. Rally takes place on 6 and 7 July, 2018, and will again be based around the city of Port Elizabeth and surrounding areas.